How To Be Happy In Marriage is a brief overview of two Christian Books by Gary Smalley - If Only He Knew and For Better Or For Best. I suspect that everyone wants a happy marriage. Gary Smalley has written two books, one for the husband and one for the wife, that help men and women nurture a stronger marriage. If you want to build a better marriage, then these two books are worth your consideration. Nurturing a strong marriage requires a commitment to a time process and a commitment to change. The basis of change will come through the learning process. There are two reasons why marriages fail. 1) Men and women enter into marriage with unrealistic expectations and limited training. 2) Men and women often lack understanding about the general differences between men and women. Gary Smalley made this humorous comment about unrealistic expectations, "I once asked a college girl what kind of man she would like to marry. 'I'd like for him to be able to tell jokes, sing and dance, and stay home at night.' I told her, 'You don't need a husband, you want a television set.'" Many marry with unrealistic expectations and few caring skills that will help meet their mates' real needs. It is important for men and women to understand the differences so that they can meet their mates' real needs. What are some of those differences? Those differences are emotional, physical, sexual and intuitive. Women tend to find their identity in close relationships; whereas, men tend to gain their identity through their vocations. Knowing these differences and working with them will help men and women build better marriages. What are the consequences of a poor marriage? There are several consequences of a poor marriage. 1) it affects our health, 2) it affects our physical relationship, 3) it affects our children's emotional development, 4) it leads to neglecting our family, 5) it means we are self-centered, 6) it leads to a dysfunctional family, and 7) it leads to total break down. When it comes to building a better marriage, there are some hard decisions for the husband to make. What are those hard decisions? 1) A husband must decide to learn how to respond to his wife's special needs, and 2) a husband must decide to change life-long habits that hinders his relationship with his wife. For more information about this book (If Only He Knew), click on the following link - How To Be Happy In Marriage. Most married women want to improve their relationship with their husbands. Some are content but most long for a more loving and romantic husband. For this to happen, change needs to take place, not only in the wife but also the husband. It would be idealistic for the husband to begin the process of change by reading the book - If Only He Knew. Unfortunately, women tend to be the ones who are more concerned about deepening their martial relationships than men. With that in mind, Gary Smalley encourages women to initiate change in their relationship with their husbands and also he encourages women to motivate their husbands to read the book - If Only He Knew. There is one big reason marriages fail. Men and women do not have the necessary knowledge and skills to take care of their mates' emotional, mental and physical needs. Men often marry without knowing how to talk to their wife. They are often unaware of their wife's sensitive nature. They don't understand a woman's physical cycles and the hormonal changes she experiences. They often trivalize what is extremely important to them - things like anniversaries, birthdays and holidays. Likewise, many women enter marriage not understanding the needs of their husband. And because of this, both husband and wife lack the ability to meet each other's needs. Gary Smalley said, "I believe the ideal marriage evolves when the wife concentrates on meeting her husband's needs adn the husband concentrates on meeting his wife's needs. That combination builds the lasting qualities of a giving relationship." 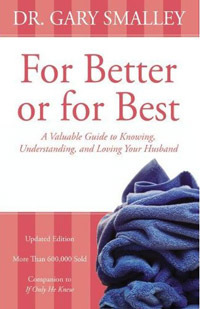 Gary Smalley also stated, "This book was written to show women how to motivate their husbands to improve their relationship. Changes don't happen overnight, but the priinciples, in this book have been proven over time in thousands of marriages. I know they work. If a woman is willing to spend the time and energy necessary to apply these principles, I am confident she willl see her marriage become more of what she desires." 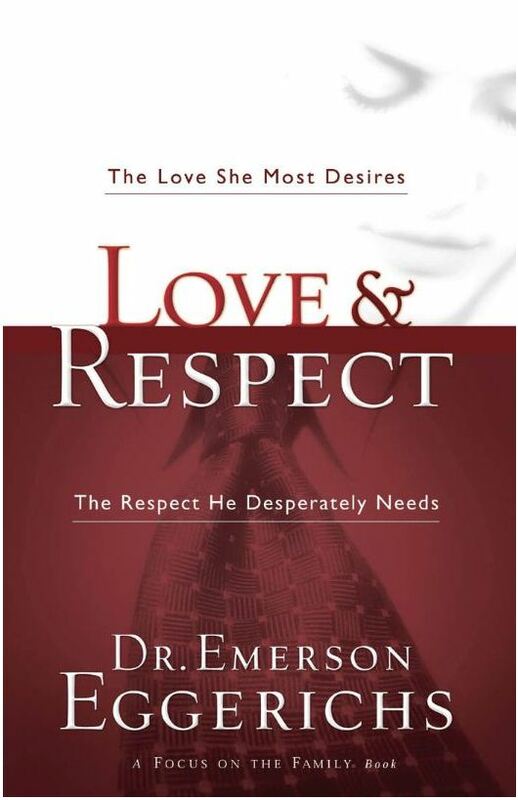 Love & Respect by Dr. Emerson Eggerichs is a simple message. A wife has one driving need - to feel loved. When that need is met, she is happy. A husband has one driving need - to feel respected. When that need is met, he is happy. When either of these needs are not met, then things tend to get a little crazy. Love and Respect reveals why spouses react negatively to each other, and how they can deal with such conflict quickly, easily and bibilically. Dr. Emerson Eggerichs stated, "Getting on the Crazy Cycle is all too easy. Recognizing that you're on the Crazy Cycle and learning how to keep it from spinning our to control is possible if husband and wife can learn how to meet each other's basic needs for love and respect." What is the Crazy Cycle? The premise is this: Without love, the woman reacts; without respect, the man reacts. And if nothing is done about it, then the Crazy Cycle will spin out of control. You can preview this book by clicking on this link - Love and Respect. The Five Love Languages by Gary Chapman is a resource that helps men and women understand how to express heartfelt commitment to your mate. What happens to love after the wedding? This question is often the most asked question when it comes to marriage. Gary Chapman writes, "We must be willing to learn our spouse's primary love language if we are to be effective communicators of love." With many years of marriage counseling, Gary Chapman came to the conclusion that there are basically five emotional love languages. In other words, there are five ways that people speak and understand emotional love. Gary Chapman explains, "The number of ways to express love within a love language is limited only by one's imagination. The important thing is to speak the love language of your spouse." 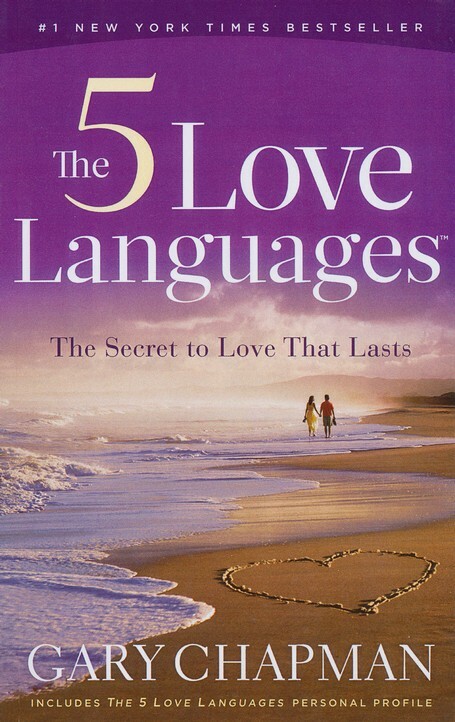 You can preview this book by clicking on this link - The Five Love Languages. 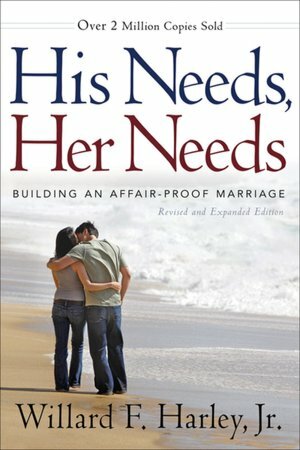 His Needs, Her Needs by Willard F. Harley is a book to help married couples make their marriage sizzle. One of the greatest contributors to marriage failure is that men and women have great difficulty understanding and appreciating the value of each other's needs. Willard Harley writes, "Marital conflict is created one of two ways: (1) Couples fail to make each other happy, or (2) couples make each other unhappy. In the first case, couples are frustrated because their needs are not being met. In the second case, they are deliberately hurting each other. I call the first cause of conflict failure to care and the second, failure to protect. Failure to care is the thesis of this book - men and women's failure to meet each other's most important emotional needs. Willard Harley states, "Successful marriages require skill - skill in caring for the one you provised to cherish throughout life. Good intentions are not enough. 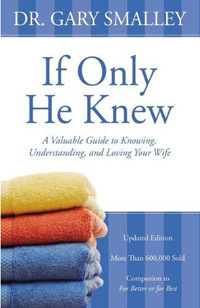 This book was written to educate you in the care of your spouse. Once you have learded its lessons, you spouse will find you irresistible, a condition that is essential to a happy and successful marriage." You can preview this book by clicking on this link - His Needs, Her Needs.